Top NPFL sides Enugu Rangers and Sunshine Stars were the big casualties of the men’s Round of 16 of the Federation Cup competition which began on Tuesday. Rangers, 1977 winners of the old Africa Cup Winners Cup, and several times champions of the Federation Cup, fell by a goal behind to Nigeria National League side Crown FC at the Ahmadu Bello Stadium, Kaduna but earned the equalizer on the hour mark. However, the Ogbomosho, Oyo State –based Crown FC went all out and got the winner 10 minutes from time, sending shock waves round Nigeria football, in the manner of the Federation Cup . At the Aper Aku Stadium in Makurdi, the all-NPFL clash between Akwa United and Sunshine Stars of Akure finished 0-0 in regulation time, before the Uyo side clinched penalty shootout victory in sudden death, 8-7. 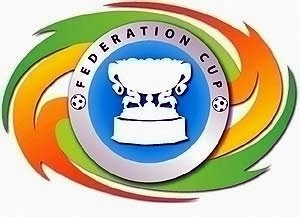 In the women’s Federation Cup quarter –finals, Bayelsa United edged COD United Ladies of Lagos 6-5 on penalties after both teams battled to a 2-2 draw in regulation time at the Confluence Stadium in Lokoja, while Nasarawa Amazons pipped Abia Angels 1-0 in Abuja. Also in Abuja, Delta Queens eliminated Katsina Queens by a lone goal.